Let me walk you through this delightful, totally renovated & re-furbished property. 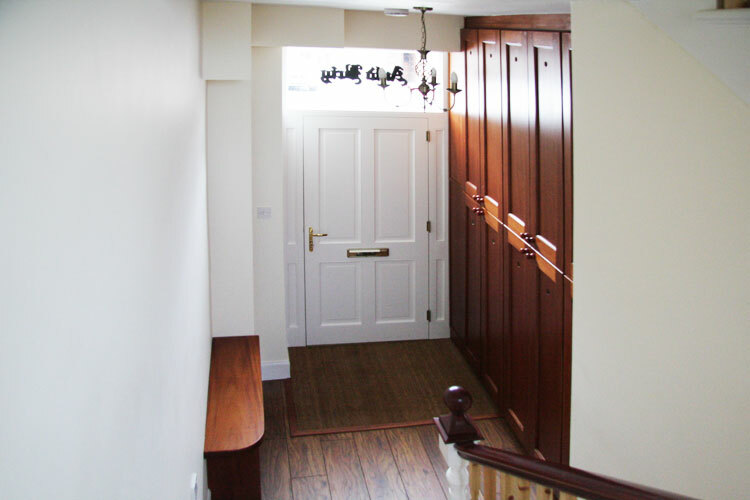 Enter the light & spacious open hallway from the high street. Here is you first pleasant surprise, to accommodate your outdoor gear, be it golfing, walking, hunting, shooting or fishing, the owners have devised golf type lockers for your equipment and out door clothing, including a shoe locker. There is enough space here to disrobe before climbing the curved staircase, with its big picture window, to the first floor and your first rate accommodation. 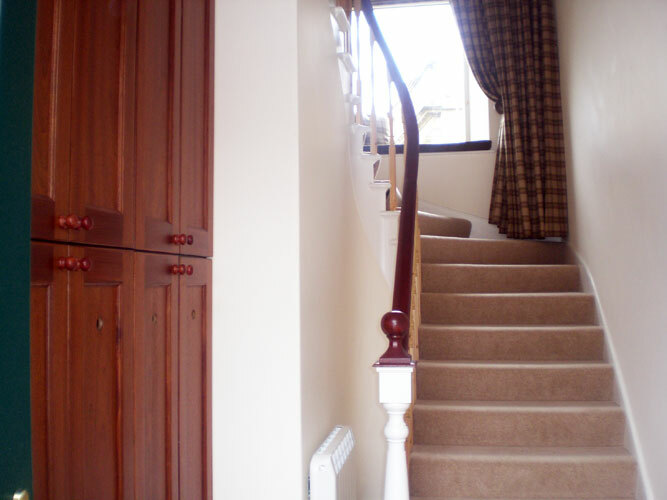 At the top of the staircase is another open spaced hallway, from here turn right , past bedroom 2, to the light & bright sitting room. Totally revamped. 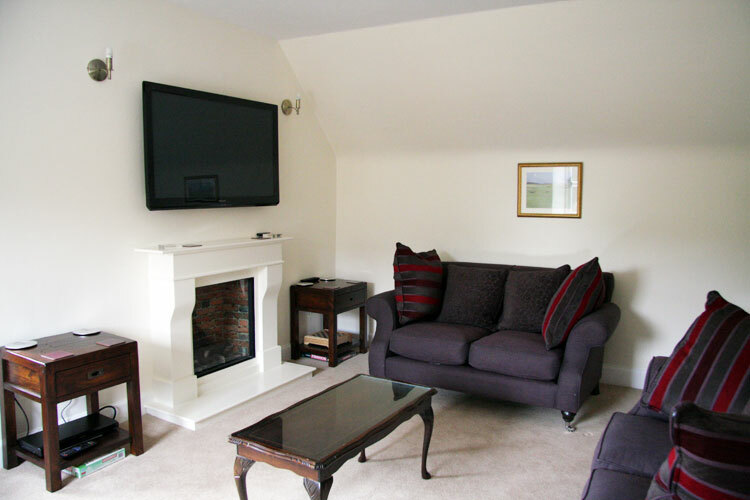 A modern wall mounted electric fire is the first thing you notice, the second is the large flat screen TV mounted above it. Relax on the comfy couches and watch your favourite program or DVD or listen to your favourite music on the iPod dock. There. You will also notice the dining table & chairs sitting in one of the two large double glazed windows, one looking to the East & one to the west. It’s a very pleasant room to spend time in. Return along the hall way to Bedroom 2. A Large 6ft zip and link bed give you the option of a very large comfy ‘double’ or the convenience of a twin, it’s your choice. There is ample wardrobe and drawer space. 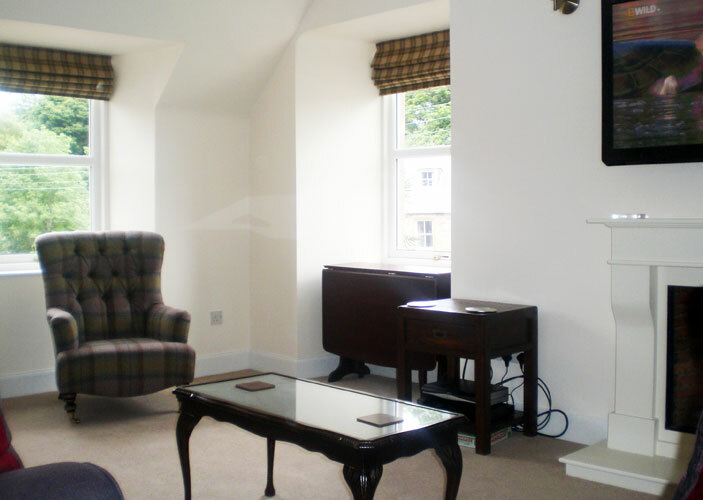 Both bedrooms have TVs with built in DVDs and radio alarms with built in iPod docks. 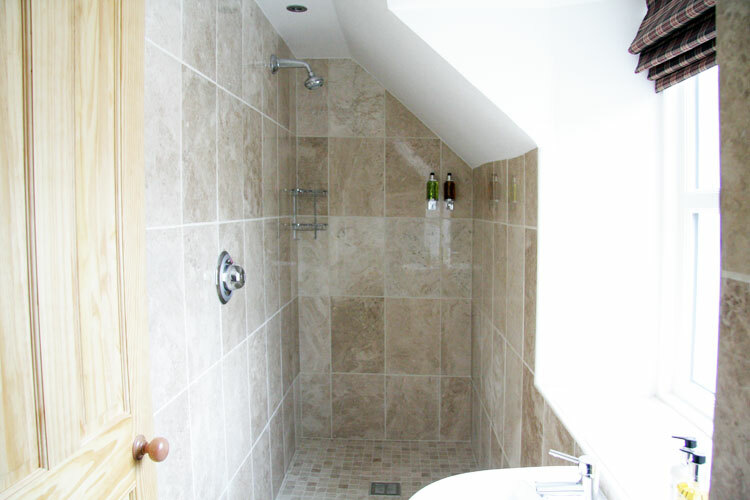 There is also the convenience of the New shower ‘Wet Room‘, with WC & WHB just outside this bedroom. 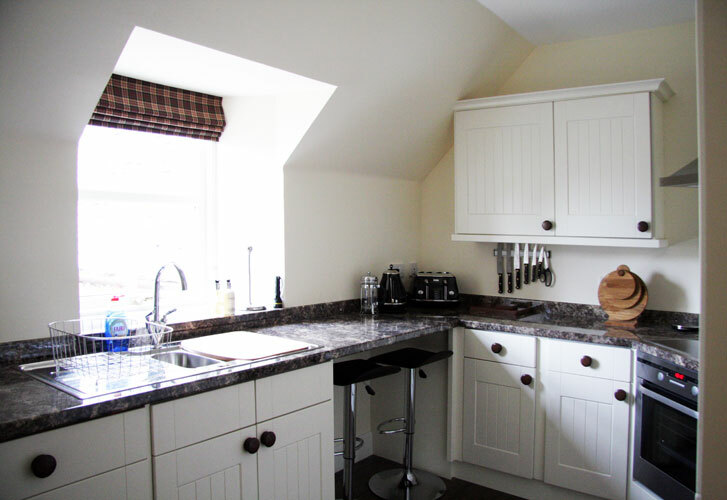 Next we come to the beautiful newly fitted kitchen, every amenity possible is there for your convenience, dishwasher, washer dryer, split level cooker, pots & pans with new china and cutlery, even a cleverly designed breakfast bar and stools, just perfect for that first drink of the day. Then to Bedroom 1, The large master bedroom with en-suite ‘Wet Room’ WC & WHB. 6ft zip & link bed again offers you the choice of Double or Twin. Lots of wardrobe & drawer space. 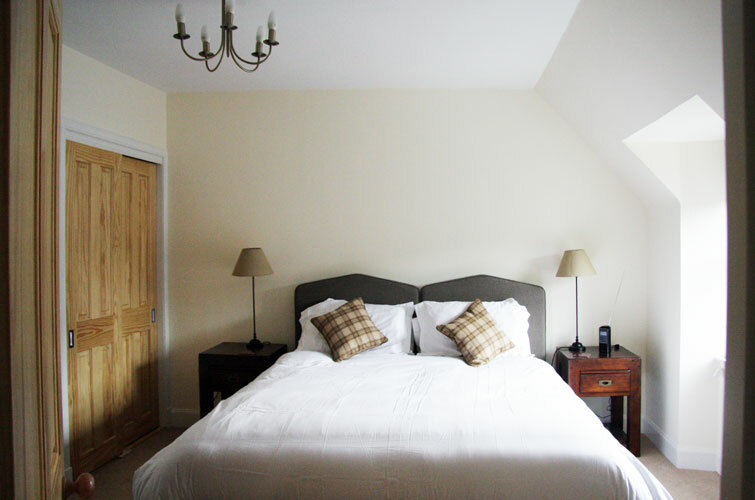 All beds have thick duvets & springy pillows, crisp new linen & soft fluffy towels. I hope you have enjoyed your tour & that I have managed to paint a picture for you. 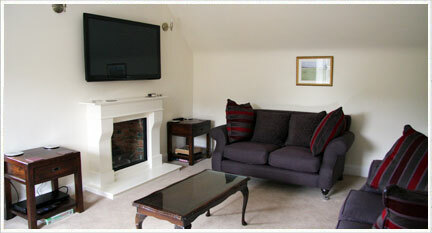 Above prices include all utilities, linen and fully equipped kitchen.